Pale Fire is a novel in the guise of an academic commentary on a 999-line poem by the same name. The poem was ostensibly written by John Shade and the commentary written by his neighbor and colleague Charles Kinbote after Shade’s death. But as with most Nabokov novels, things aren’t as simple as that. Kinbote may not be the ex-king of Zembla as he claims but the alter ego of Shade’s insane colleague Professor Botkin. But did either one of them write the commentary, or was it written by John Shade himself and neither colleague ever existed? Or was Shade a fantasy of Kinbote/Botkin? Did Nabokov “tilt” the text in favor of one explanation over the others, or did he leave us to ponder several equally plausible interpretations? 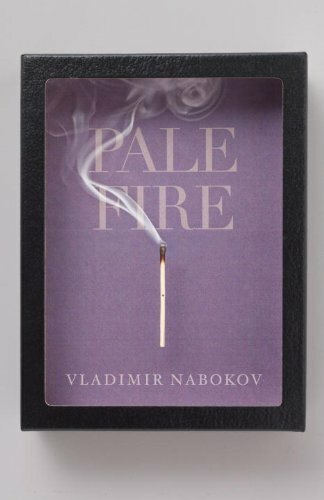 Pale Fire is included on book lists as one of the top 100 novels of the 20th century. The writing is an example of sustained brilliance and the plot has engendered dozens of academic studies searching for its true meaning and explanation. This novel, more than any other, alerted me to the idea, as a writer, of multiple interpretations of a narrative—leaving the reader wondering who is who despite surface appearances, what really happened beyond what seems to happen, and which explanation of the text is the best among several alternatives.